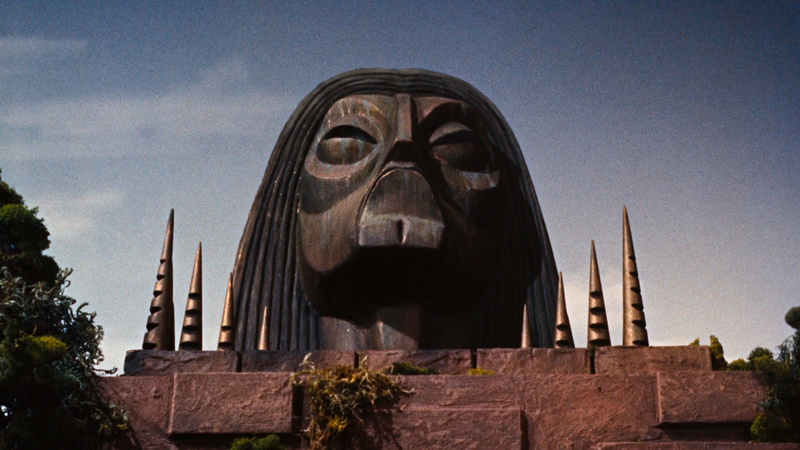 Description: In George Pal's version of the H.G. 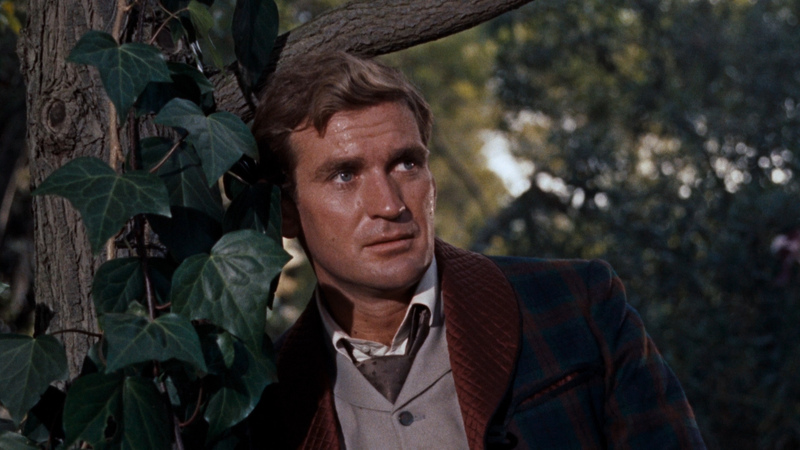 Wells classic, Rod Taylor stars as George, a young scientist fascinated with the concept of time travel. On December 31, 1899, George seats himself in his jerry-built time machine and thrusts himself forward into 1917. A dyed-in-the-wool pacifist, George is distressed to see that World War I is raging all about him. He moves past the 1920s and 1930s into the 1940s, only to be confronted by another, even more terrible war. 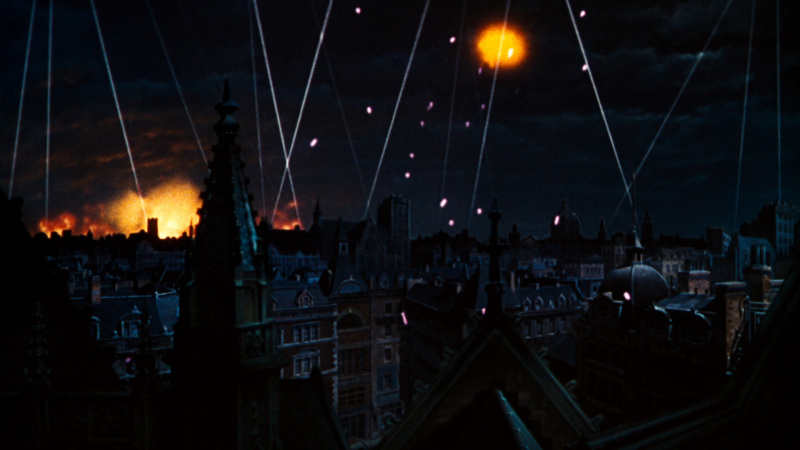 Next he stops in 1966, just as London is destroyed in a nuclear explosion. Retreating to his Time Machine, George is sealed in his cellar by molten lava. By the time he and his machine manage to escape their tomb, the year is 802,701. Looking around, George observes a seemingly idyllic world populated by gentle people. But he also notices that the citizens of the future, known as "Elois," behave more like mindless sheep than human beings. Befriending the lovely Weena Yvette Mimieux, George learns to his dismay that humankind has forgotten all that it has learned through the centuries, preferring instead to frolic endlessly under the sun. Plot holes and inconsistencies abound in The Time Machine, but the film's true selling points was its Oscar-winning special effects; in this respect, producer-director Pal succeeded beyond anyone's wildest dreams. 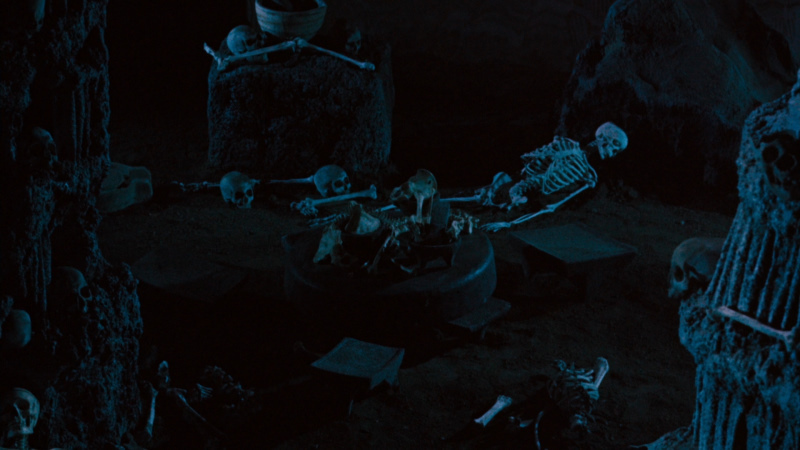 Another plus: the haunting musical score by Russell Garcia. 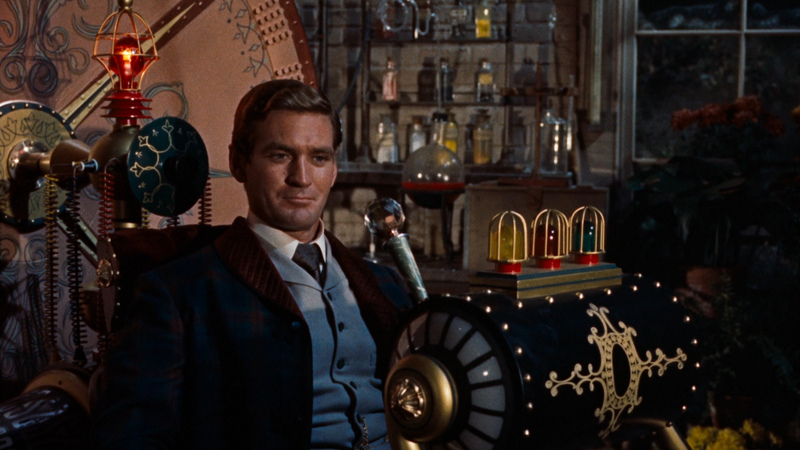 Set in the Victorian era, George Pal's production of The Time Machine (1960) is a faithful adaptation of the H.G. Wells novel in most respects except one - it omits the author's cynical observations about the British class system. 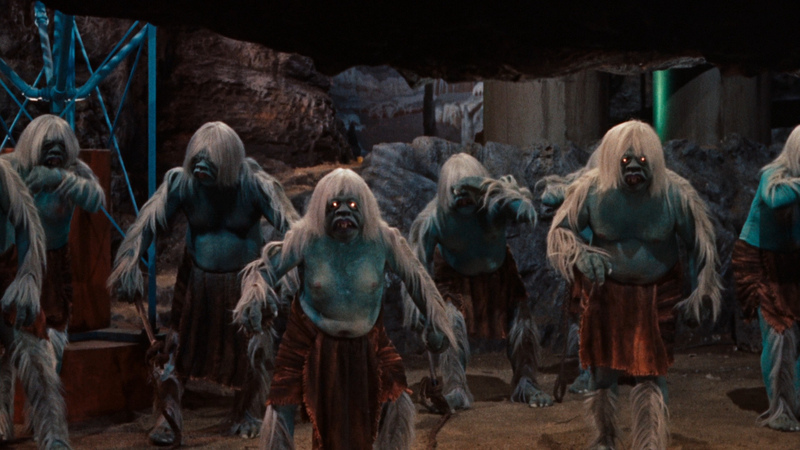 Yet it's the main premise that has captivated audiences for years: A scientist (Rod Taylor) creates a time-traveling machine that carries him forward into the year 802,701 where he finds a strange new world populated by the Elois, a passive, peace-loving race, and their predators, the Morlocks, a cannibalistic tribe that lives underground and is light sensitive. 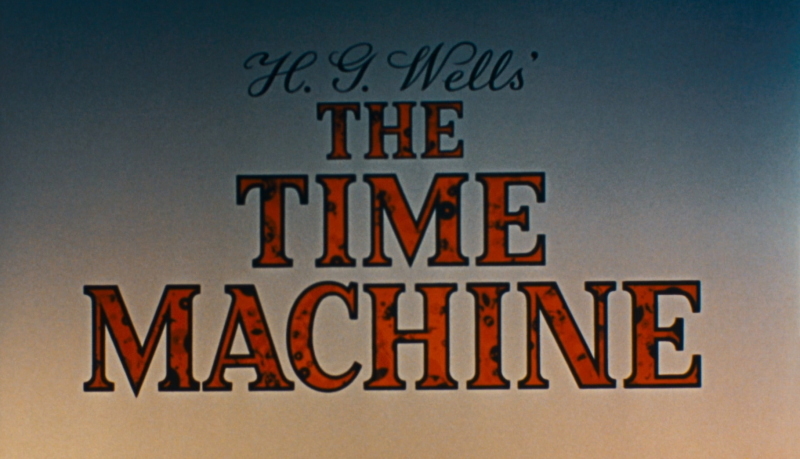 H. G. Wells always thought The Time Machine would make a compelling film but he never lived to see it become a motion picture; he died in 1946. However, his son, Frank, saw The War of the Worlds, a film version of his father's novel which was directed by George Pal in 1953. 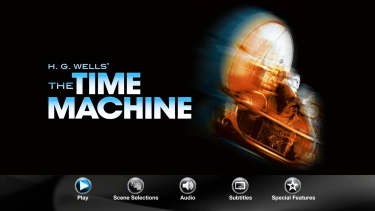 That convinced him that Pal was the man to bring The Time Machine to the screen. Unfortunately, Paramount Studios, which had produced The War of the Worlds, had no interest in the project. 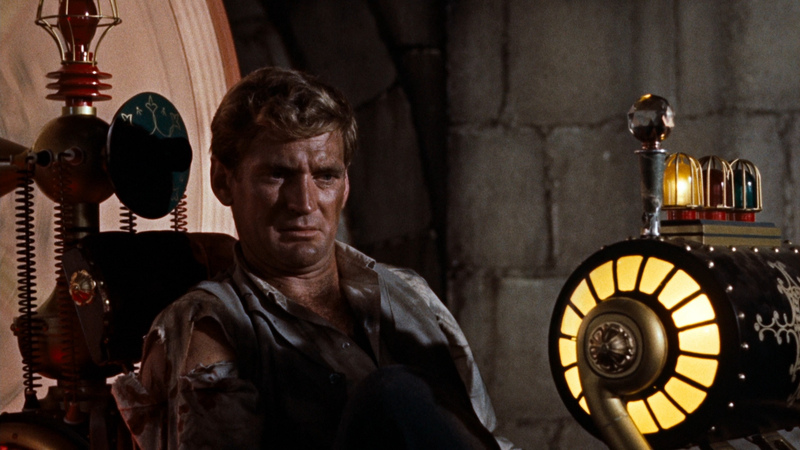 Undaunted, Pal and science fiction writer David Duncan shopped their screenplay around to various Hollywood studios without success until Pal journeyed to England to film tom thumb in 1958. 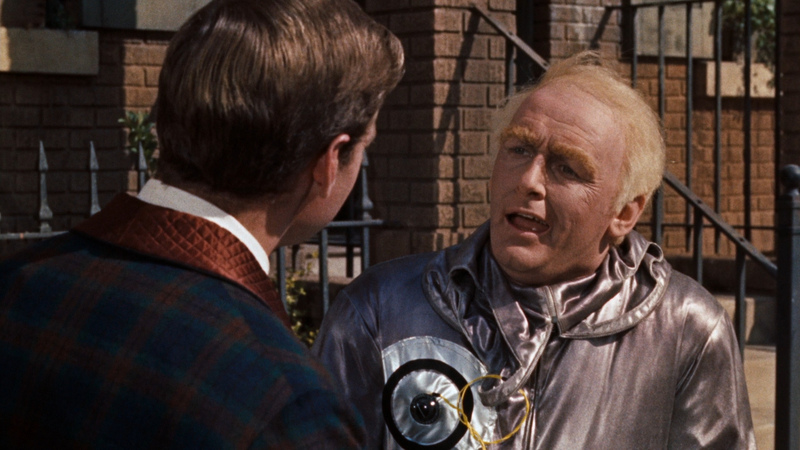 It was there that he forged a friendship with Matthew Raymond, the head of the British MGM studio, who helped Pal put together a budget for The Time Machine. 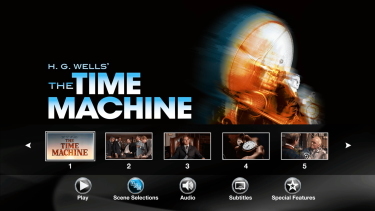 Opening at the end of the 19th century, The Time Machine begins in a small English home, where four men await the arrival of their host for dinner. They are each fashionably dressed, and as they wait they smoke cigars, sip wine, and offer few words to one another. 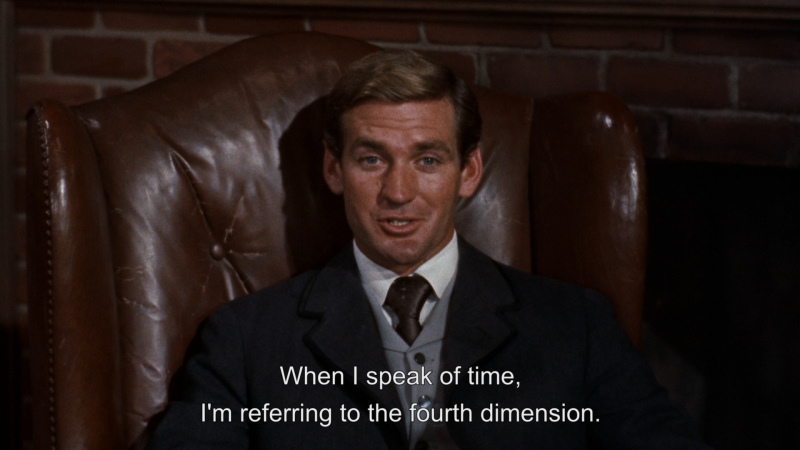 Around them, a large collection of clocks ticks away the time; their host, a man named George Wells, has a deep and abiding fascination with time, an interest the other men seem to find mildly annoying. After they are invited to sit for dinner without George, he bursts into the room, his clothes torn and dirty, his skin muddied and red. He sits, swallows a glass of wine, and begins telling the men where he has been: a post-apocalyptic future in which the earth has grown new species of plants, there is nary a trace of technology, and the only humans – descendants of those who survived a nuclear holocaust in the 20th century – have divided themselves into two distinct groups. 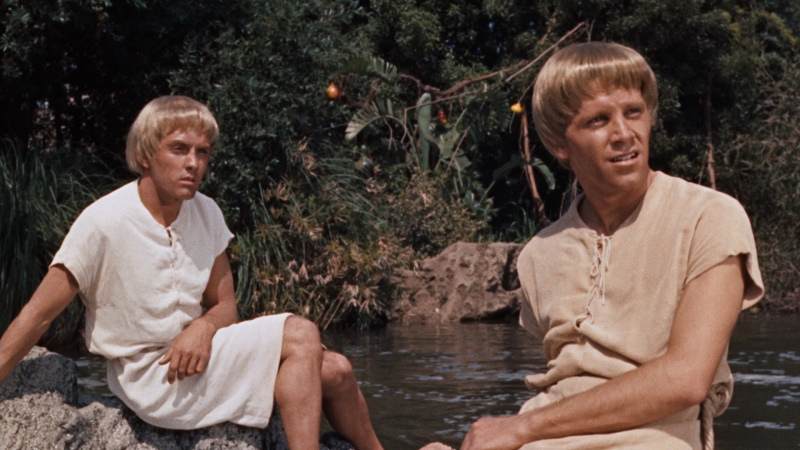 The first are the Eloi, all of whom are young, clad in pastoral clothing, and intolerably careless; they have little knowledge or intellectual curiosity, dine on food they themselves have not picked, and regard George’s incessant questioning as bothersome, even after he saved one of their own from drowning. 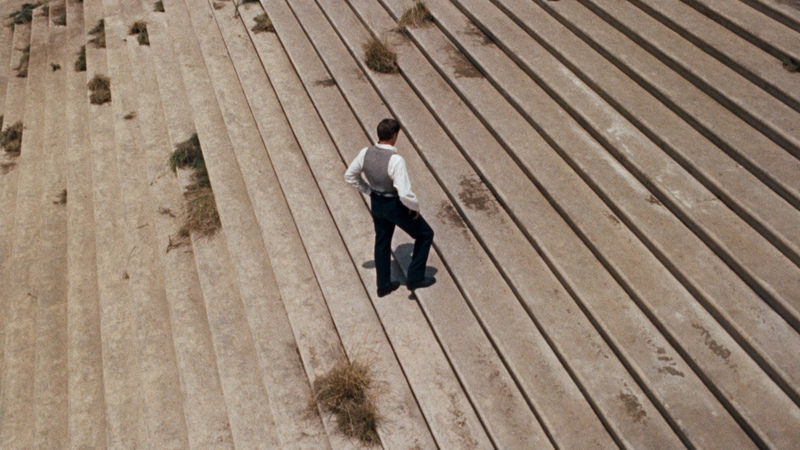 When George asks a young Eloi man to show him their books, he is disheartened to find a few lonesome shelves stocked with texts that crumble in his fingers. 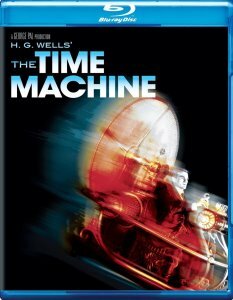 The Time Machine arrives on Blu-ray from Warner. Like the past DVD, the film exports a fairly thick appearance on digital. The image quality shows some grit and minor grain. Unfortunately, the presentation remains flat - but the texture support is significantly more advanced over SD. This is only single-layered and has a modest bitrate for the 1 3/4 hour film. I suppose companies like Criterion and Twilight Time have raised the bar with consistent max'ed out bitrates. Contrast is acceptable but the visuals lack crisp definition. I don't doubt at all that this is more a factor of the original appearance although a more robust transfer could have benefitted the 1080P presentation. This is in the 1.78:1 aspect ratio. This Blu-ray has a clean and consistent image. Colors show some depth and there was no noise noticible. Warner bump from the original 4-Track Stereo (Westrex Recording System) audio to a healthy DTS-HD Master 5.1 surround at 3370 kbps. Sound effects are not intense but do get some pleasing and subtle separations. The fairly punctuating score by Russell Garcia (The Fugitive and Perry Mason episodes) sounds potent and appealing via the robust lossless track. There are two foreign-language DUBs and some subtitle options and my Oppo has identified it as being a region FREE disc playable on Blu-ray machines worldwide. Warner include the 48-minute documentary Behind the Scenes: The Time Machine - a Journey Back as found on past DVDs. 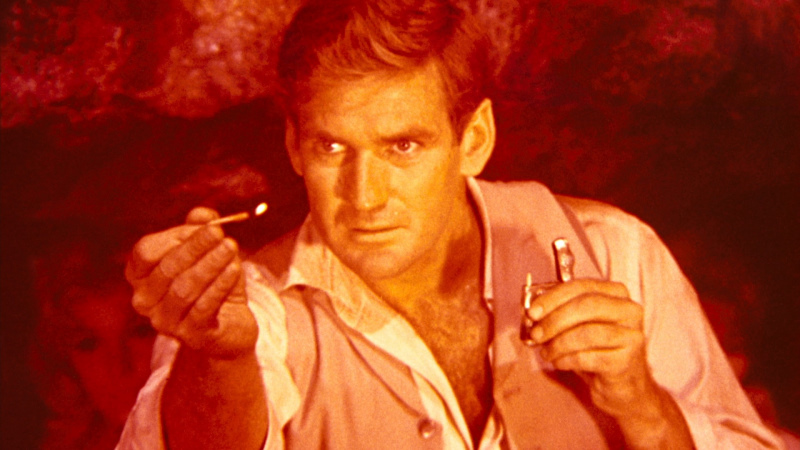 This is an interesting piece hosted by Rod Taylor with tidbits by Alan Young and Whit Bissell. The "Journey Back" portion as a kind of 'sequel' near the end adds some special significance. There is also a trailer. 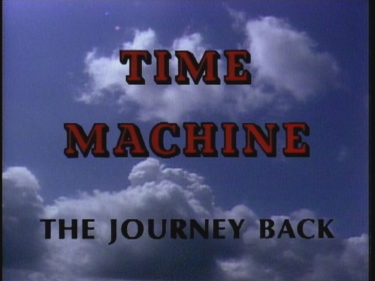 The Time Machine is a film I enjoyed as a young lad, was left unsatisfied as an adult - watching on DVD, but have swung back to satisfaction with a very pleasant viewing - seeing it in the higher resolution. I suspect it is more of my perceptions or expectations altering than anything else. Yes, this has it's share of hokey-ness and limitations in the special effects. Still the appeal is nostalgia and the film's strong vision of a potential future.The Blu-ray in my opinion advances over SD in both audio and video enough to consider indulging for a reasonable price. 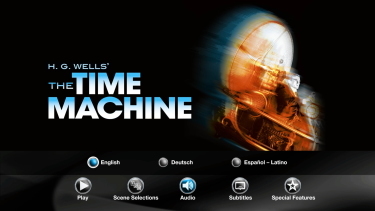 Yes, I will revisit The Time Machine on one lazy Sunday afternoon.